Mireille Muscat, head of marketing at Melita, with Ronald Attard, managing partner at EY Malta. Melita Limited is the main sponsor of the 2019 EY Rising Star Award. This award, part of the annual EY Malta Entrepreneur of the Year Award, recognises an individual who has been in business in Malta for at least two years and is achieving outstanding success. The winners of the two previous editions of the award were Shane A. Hunter from AquaBioTech Group in 2018 and David Vella from Altaro Software in 2017. Now in its third year, the EY Malta Entrepreneur of the Year Award has two objectives: to promote entrepreneurship in Malta and to empower entrepreneurs to grow their businesses locally and globally. The award is judged by an independent panel made up of key figures from the business community. “The EY Entrepreneur of the Year programme is a great opportunity for Malta-based business leaders to showcase their talent, opening up the possibility to also network and compete with the very best in the world in Monaco,” Ronald Attard, managing partner at EY Malta, said. The winners from both categories are flown to Monaco in June 2019 where the winner of the main award competes for the grand prize, the EY World Entrepreneur of the Year Award. The event brings together national winners from more than 60 countries, selected from a pool of over 5,000 nominees. 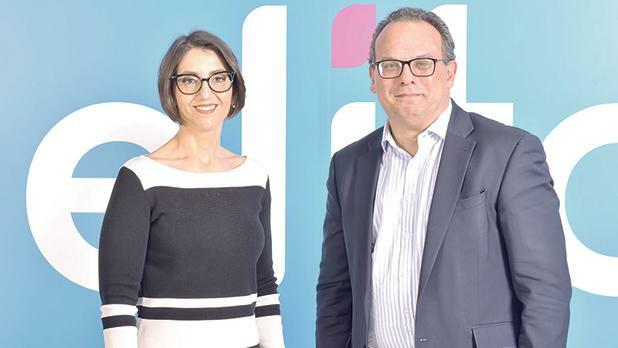 “The EY Rising Star Award always brings to the fore an individual who is relatively unknown but who has created something outstanding, and who fully deserves recognition,” Mireille Muscat, head of marketing at Melita, said. Applications for the 2019 EY Malta Entrepreneur of the Year Award and EY Rising Star Award close on February 15. Applications can be made online at www.eoymalta.com.